Brazil's unemployment rate stood at 8.6% in March, as against the 8.7% rate recorded in February. The rate also decreased in comparison with the same month of last year (10.1%). The rate is the lowest for the month of March since 2002. The data were surveyed in six regions of Brazil by the Monthly Employment Survey of the Brazilian Institute of Geography and Statistics (IBGE) and was disclosed this Thursday, April 24. According to the survey, the rate of employed persons in March decreased 0.6% over February, representing 122,000 people in the labor market. In comparison with March 2007, grew 3.5%, the equivalent of 713,000 job positions. Real average income of employed persons in the period surveyed was 1,188.90 reais (US$ 717). The value is 0.6% lower than recorded in February 2008 and 2% higher than in March 2007. According to data disclosed in mid March by the Brazilian Institute for Geography and Statistics (IBGE), industrial employment decreased 0.4% in January compared with December 2007, in the seasonally adjusted series. In the monthly analysis, however, the indicator was positive, showing an increase of 2.8% compared with the same month last year. According to the IBGE, the result confirmed a sequence of 19 consecutive positive growth rates, which total an increase of 2.3% in a 12-month period. The IBGE highlighted the fact that this is the highest accumulated industrial occupation rate in a 12-month period since 2005, when the rate was 2.4%. Industrial employment growth in January was influenced by the positive results recorded in 12 of the 14 locations surveyed. The southeastern Brazilian state of São Paulo led the expansion of industrial employment with a 4.7% rise. Sector highlights in January were machinery and equipment (12.5%), transport (10.8%), metal products (11.6%) and machinery, electric and electronic devices, and communication devices (12.5%). What an idiot….this junkie ! – What has Brazil done on the Haiti war ? Are you not the leaders of the MINUSTAH ??????? Here you have a well paid army (paid by the UN…not by Brazil)…that does ….NOTHING ???? – is the Brazilian army not intervening around twice a year….in SP and Rio because your police forces, including BOPE, is worth ZERO to reduce the crime rate ????? HIGHER than America (the one you criticize) F) So much impunity for criminals killings the poors, the Indians and the ones with Noooo land !!!!!!! To whom can Brazil give a lesson ??????????????????????????????????????????? Slavery still exist in your Tropical Mud ! And far more than what your filthy government admits ! Corruption prevails at ALL administration levels, from the bureaucrats, to politicians, to the government members ! Because Brazilians have killed Brazilians in the hundreds of thousands ! Sure you said it was not true….until you could not lie…anymore ! Do you know how many killers of Indians have gone to jail ? Less than 5 % ! Sad facts, sad reality. Life is worth only a few hundreds Brazilian Reals ! Everything you speak of is true. It’s too bad most will never get it. The truth is all governments are corrupt. And yes, the Fed is running a lot . But it has more of a British connection than anything else. It’s great that the research is out there for those that care to take out the time to do the homework. It is refreshing to hear that some people like yourself get it and vocalize it. It is pure game. It’s incredible. Yet there are people that actually believe in the system. There is a bubble beginning to billow. Hasten naught it’s bloom on towards bursting. Wish only that there are masses tethered to such expanding surface that they may be raised up from their languishment at it’s core. Too quick the expansion tis fraught with peril. Na’er a need for a dart nor an arrow but so a prick of a pin doth colapse it. Such depths of dispair and pain you think is felt now, yet after propaganda none will swallow. 1) Wars “WITH” Haiti and other African countries? There are none. Propped up (Propagandised) Brasil is losing those just fine on it’s own but is slowly, but surely, gaining ground towards doing a better job of policing these economically unimportant places. Tis your lot for now. 2) “why has america sent so much missionaries to Brazil” with the cash from so many small backwoods communities with big hearts (and apparently deep pockets) to do what Brasillians themselves can’t / won’t / haven’t done? Is it a plot by and for estangeiro churchy types to steal the natural riches out from under bare footed indigeonous peoples or their technically legal rulers who are based far far away from the region and day to day existance? Better put these questions on the Ministry of the Interior’s mandated visa application check list – anyone who doesn’t answer the right way must be denied entry to Brasil. Martin Luther King’s dreams did not die and can’t be killed. If you choose not to share them / believe in them / live them, then that’s your problem, not one anyone else made for you. Anyway, does anyone buy in to the 8.6% unemployment rate stats in any way shape or form? Is that for the whole nation? What’s the figure for places like metro Rio? It’s been running something like 28 – 42 % unemployed within the working age group (excluding catch as catch can part time informal work / seasonal or temporary situations) for the last couple of years from what I can tell. can someone please write an article of how the US plans to take over Brazil!!!!!!!!!!!!!!!! if you look deeply and think .. why has america sent so much missionaries to Brazil, the worlds biggest Christian nation. IF AMERICAN GOVERNMENT WAS LOVING, THEY WOULD BE IN OTHER WARS LIKE THE WAR IN HAITI, AND OTEHR AFRICAN COUNTRIES, BUT WHY ARENT THEY THERE??? BECAUSE IT DOESNT REWARD ANY FINANCIAL BENEFIT. IF THIS CORRUPT GOVERNMENT rUN BY THE PRIVATE CONTROLED MANIPULATOR Federal Reserve. go on youtube, go on other places look up how corrupt the FED THE WORLD BANK AND THE IMF really is. they make wars, they make money and they kill inocent people. while enslaved americans are watching their funny movies, cartoons or even listening to rap which was created to ruin marthin luther king’s dreams. WAKE UP AMERICANS, STOP BEING MANIPULATED, THE FED STARTED THE WARS, LOOK UP DAVID ROCKEFELLER. THEIR PLAN IS TO QUIKEN THE APOCALIPSE, THEY WANT TO DO FULFILL THE PROMISSES IN THE BIBLE, TRUST ME THIS HAS BEEN STUDIED. LETS PUT THEM TO SHAME, LETS STOP THEM FROM THEIR PLAN TO QUICKEN THE APOCALIPSE. 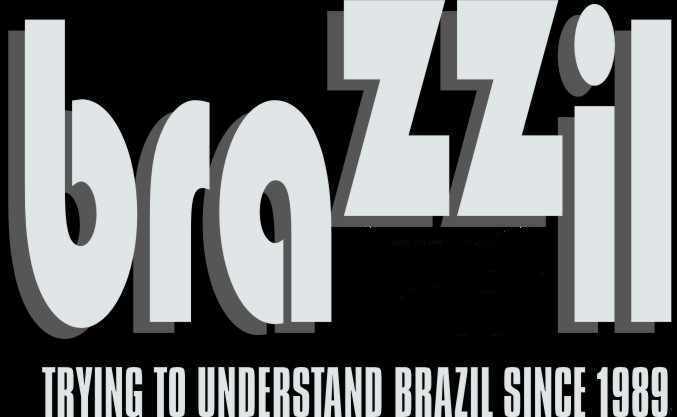 Brazzil? What Is It All About?